The tour book comprises a mixture of photographs of Prince and tour band members, and is accompanied by various quotations by and about Prince, together with tour credits. Prince and the New Power Generation had toured Japan, Australia and Europe during 1992 on the Diamonds And Pearls Tour, showcasing material from the Diamonds And Pearls album. There was, however, no U.S. leg of the tour and the next album, , was released later the same year. Aside from some minor amendments, the tour book re-used the same layout, design and content as the Diamonds And Pearls tour book, printed by the same company in England. 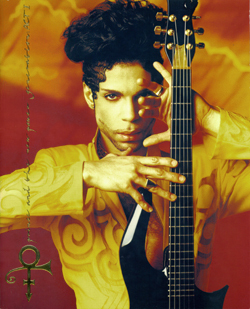 The front cover introduced a photograph of Prince, sporting his new 'typhoon' hair style, and holding a black cloud guitar. Whilst the new stage show continued to use a mixture of bold colors as displayed in the CD booklet of the new album, the near eastern connection in the original story planned to underpin the new album, was reflected in a switch to an arabic style font and emphasis on gold, where silver was previously used. The embossed title on the tour book cover reflected these changes, prominently displaying the symbolic title of the new album and reading, Prince and the New Power Generation Act I in a font similar to (but not the same as) that used on the the new album. Several band pictures from the previous year's tour book are either edited or replaced, due to the departure of Rosie Gaines from the band, and Mayte is now pictured several times, usually in arabian-styled costumes, including a reversed version of the picture on the back of the CD booklet of the new album. Morris Hayes, who replaced Rosie Gaines on keyboards, is also introduced in the slightly amended display of Prince and the tour band on pages 22 and 23. One of the band images used on page 21 had previously been used for the limited edition 12" single picture disc release of Thunder in June 1992. The images of Prince with dancers, Diamond and Pearl, who had also departed, are replaced with three images used from the same photo shoot that produced the cover for the CD single release, The Morning Papers. The same complimentary quotations about Prince are printed throughout the book from Anthony Kiedis, Spike Lee, Mick Jagger, Patti Labelle and Martika and the inside back cover repeats the artistic statement from Prince. Each quotation is signed by the contributor. 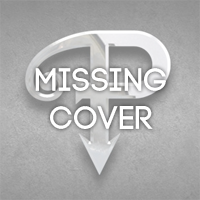 Other than revised tour credits on page 28, and a further new image of Prince on page 29, most other pages remain close to or replicate pages of the 1992 Diamonds And Pearls tour book.